I had moved Australia from Japan in 2003. Since that year I have experienced many funny culture gaps between my country and Australia. In 2012, I gave birth a beautiful son and Even though living to other countries, being proud of Japanese cultures. And wanting to introduce and share Japanese culture at the world. Introducing Japanese local craftsmen, artist and designers to the world. I would like to introduce more Tohoku artists, from the area that suffered most in the earthquake and tsunami of 2011. Please, encourage the artists and designers by commenting on their work if you like it! Also, If you have a friend who is interested in Japanese culture, please invite them to this community. It is very interesting to read a blog about Japanese culture that is written by a Japanese person. Thank you for writing in English (^_^) I look forward to following your blog! Hi. I am also interested in reading blogs, which foreigners are writing about Japanese culture. I sometimes felt embarrass my culture before, but after leaving Japan, I start being proud of my country and culture. I hope you have a lot of good experience in Japan! Like in most cultures, there is both good and bad in Japanese culture. But overall I think Japanese culture is definitely something to be proud of! I really miss it now that I don’t live in Japan anymore. I also put your link in Blogroll. Please, check it. I didn’t know this function before and I learn it today! I got invited to join the Writing Process Blog Tour, and I’d like to feature your blog on it! ^_^ According to the instructions, I would need a 90 word bio/blog intro by June 1, and then you’d need to answer four questions about your writing process on a June 9 post. You can email me for details (I think you get my e-mail adress through this comment, right?). Ohhhh! Thanks Haruko-chan. I am so impressed. I will start online shop from mid of June. I hope you like it. 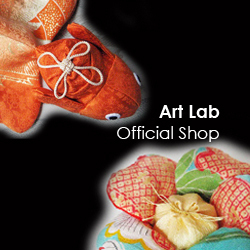 This shop sale Japanese craftsmen & artist’s work. When I start it, I will let you know. Thanks a lot every time!